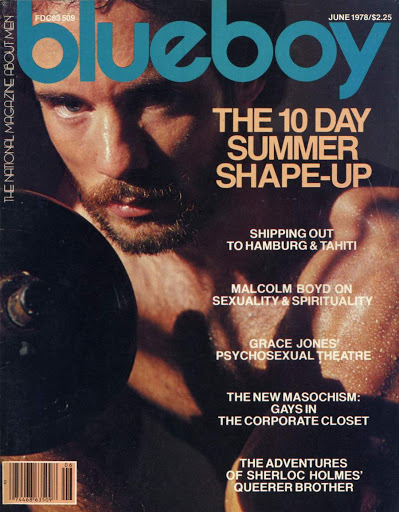 Vintagegayblog | A site for vintage gay male print imagery and articles on gay male culture. 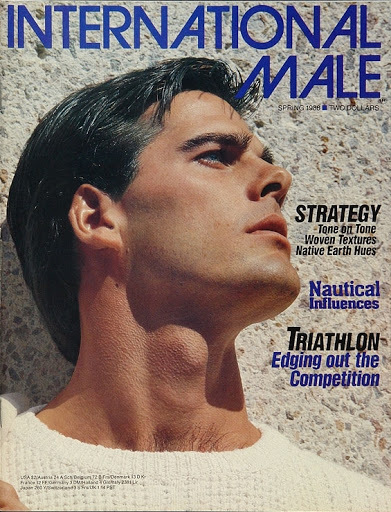 A site for vintage gay male print imagery and articles on gay male culture. 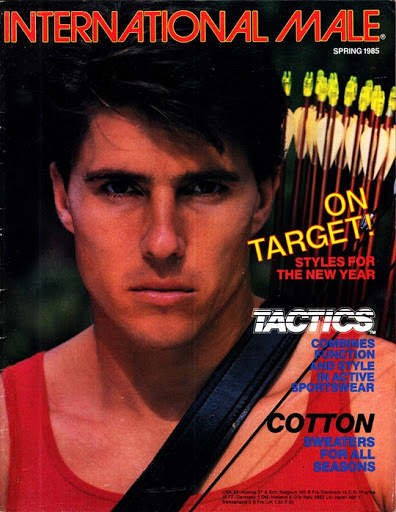 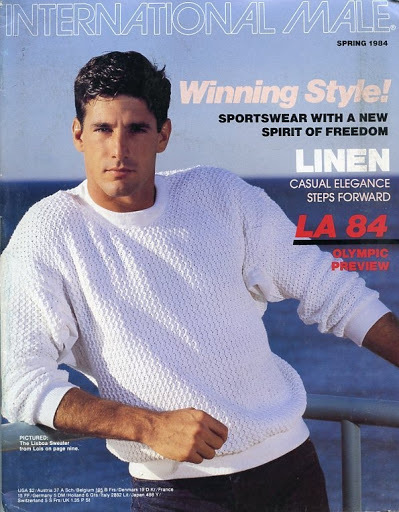 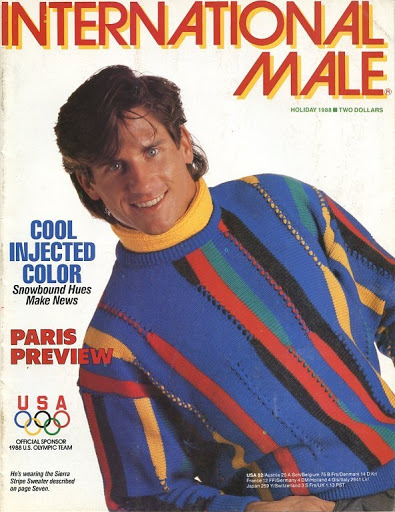 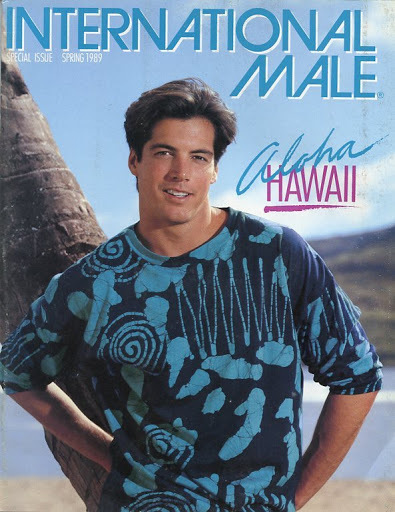 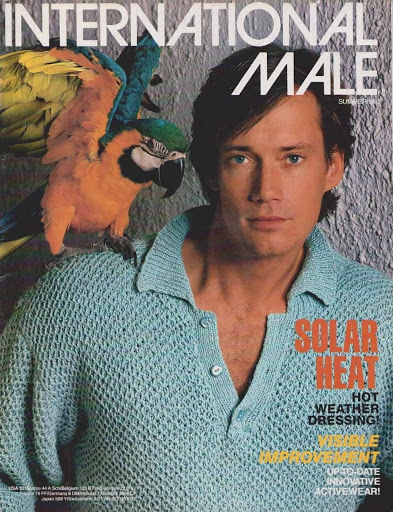 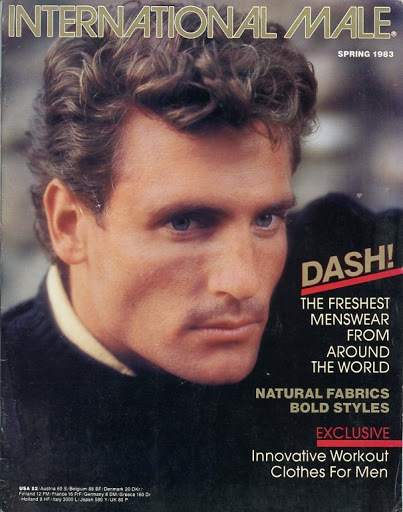 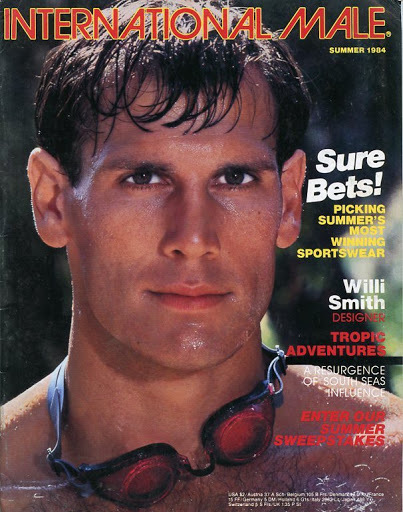 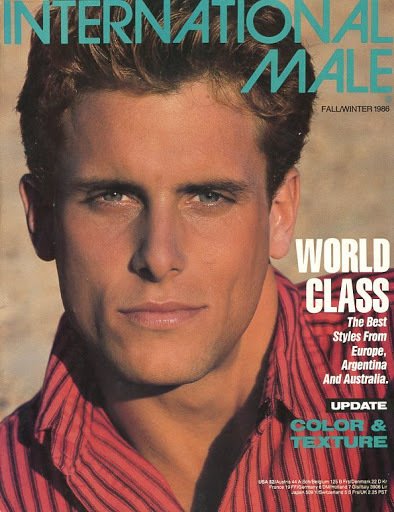 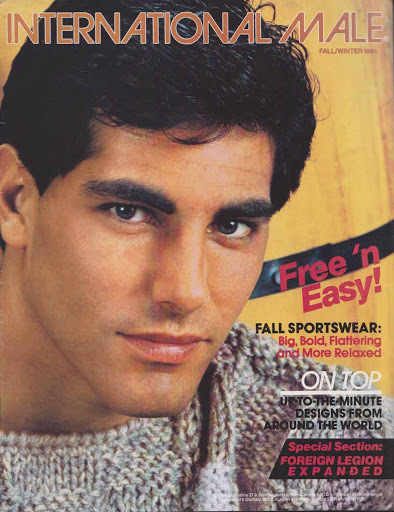 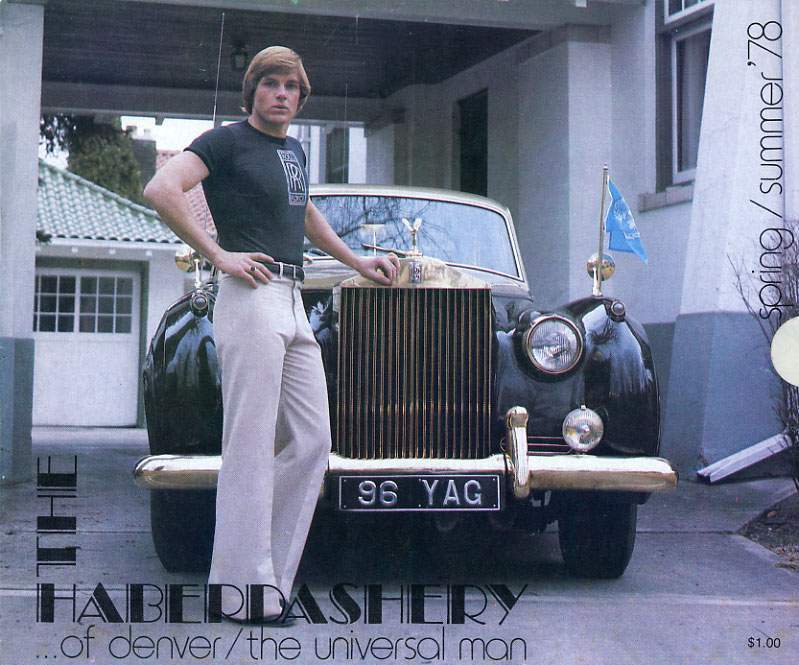 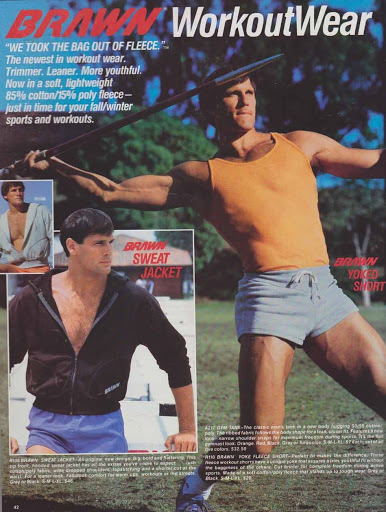 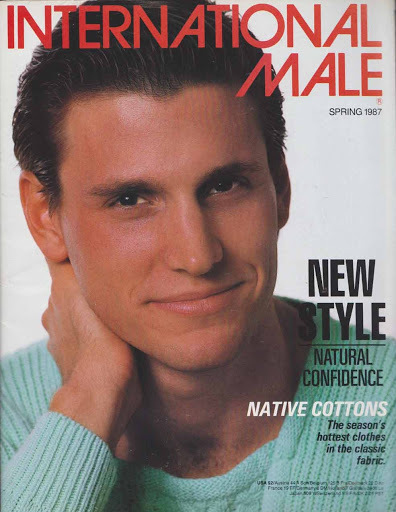 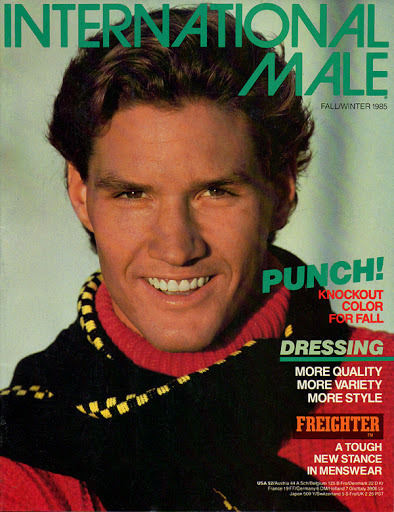 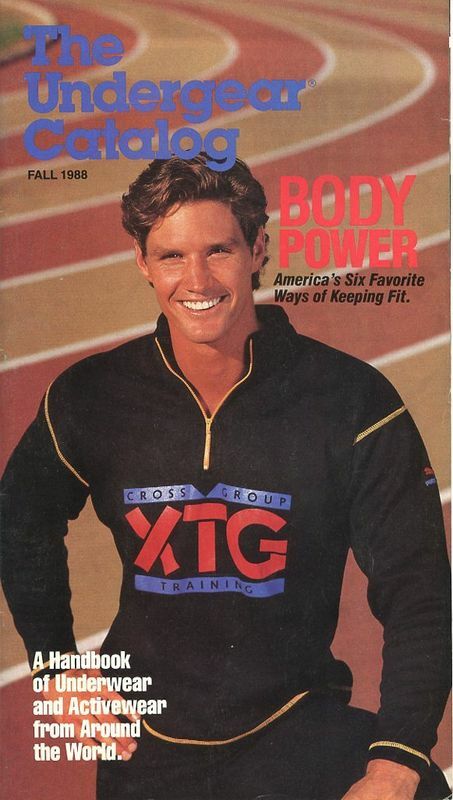 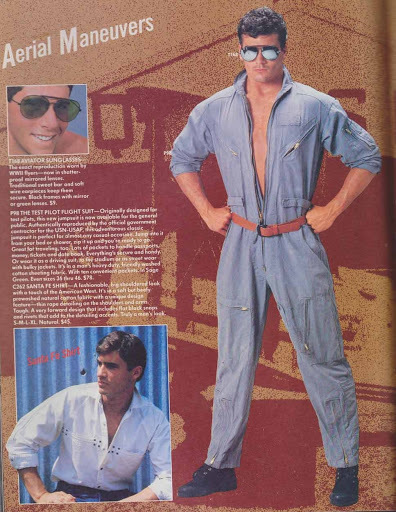 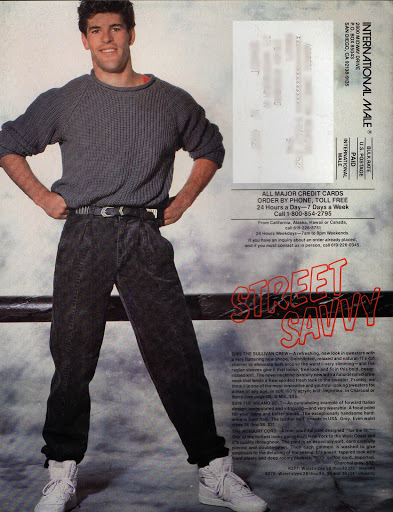 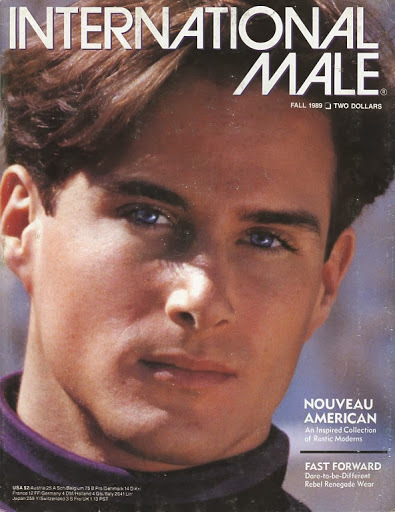 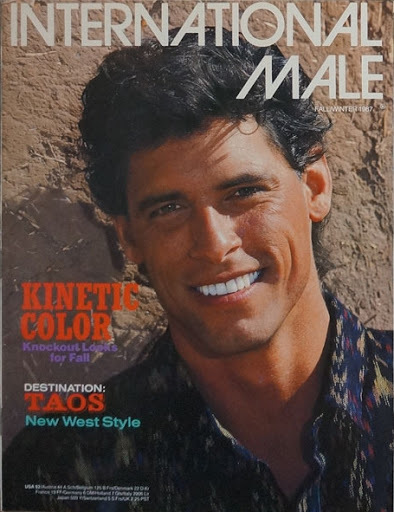 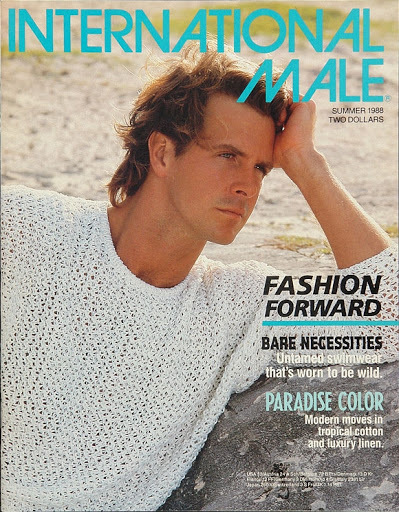 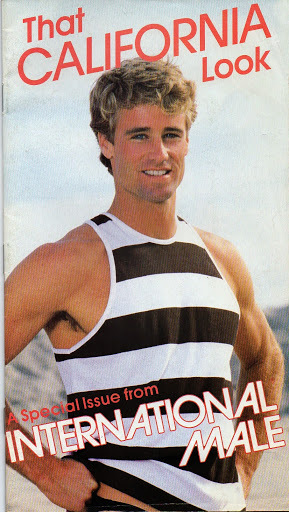 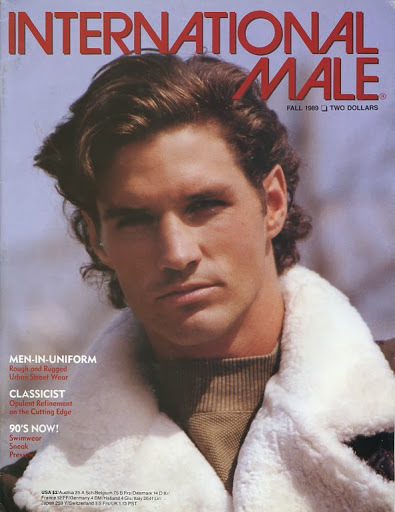 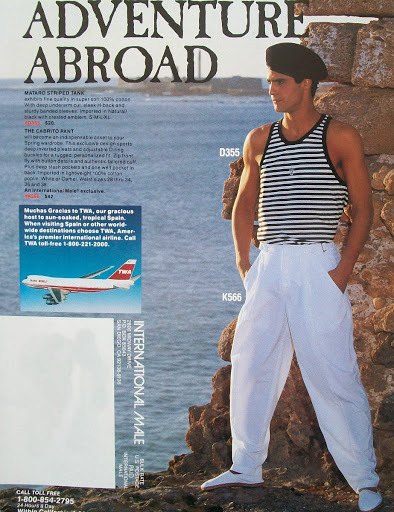 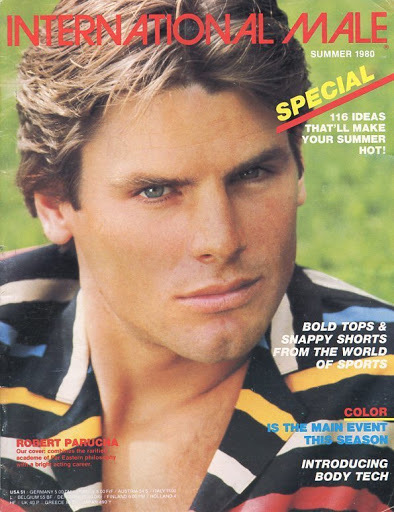 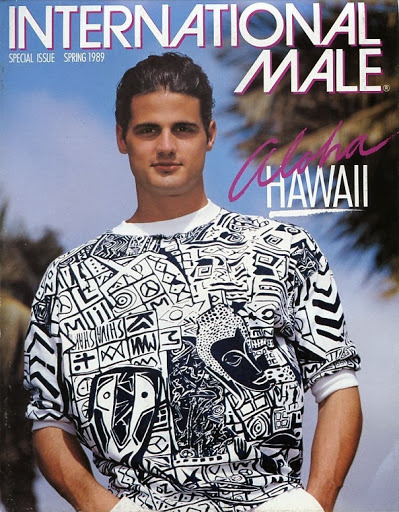 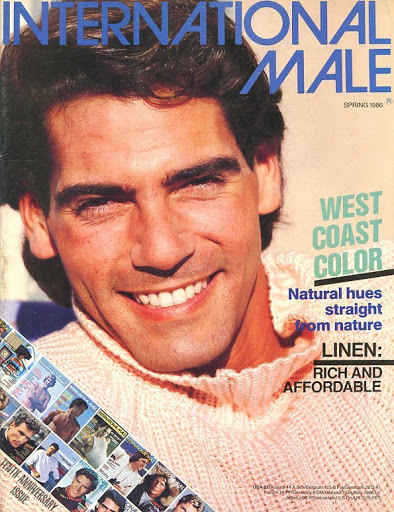 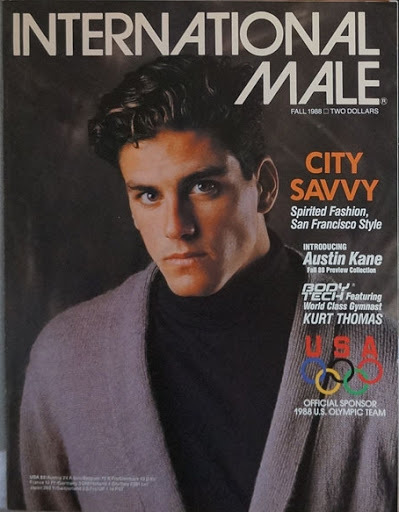 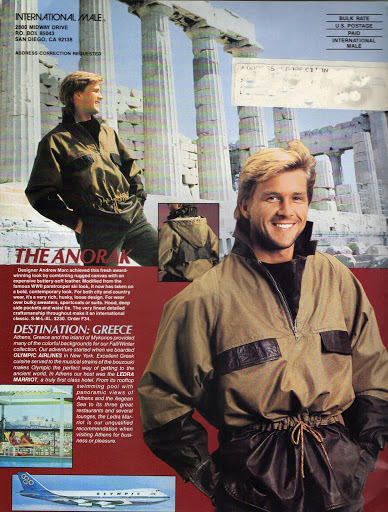 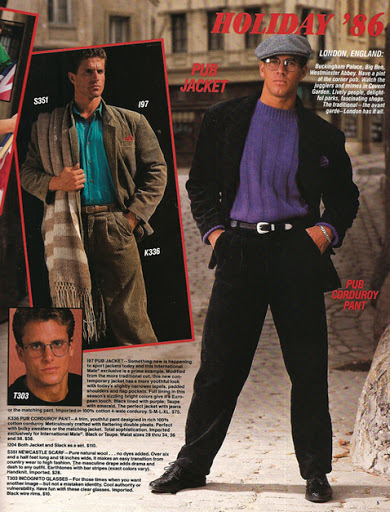 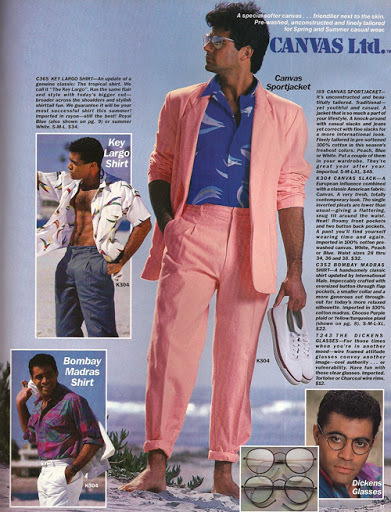 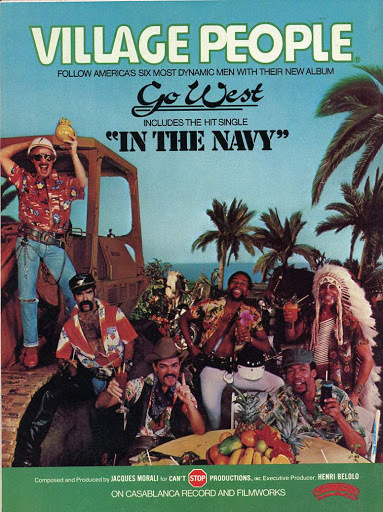 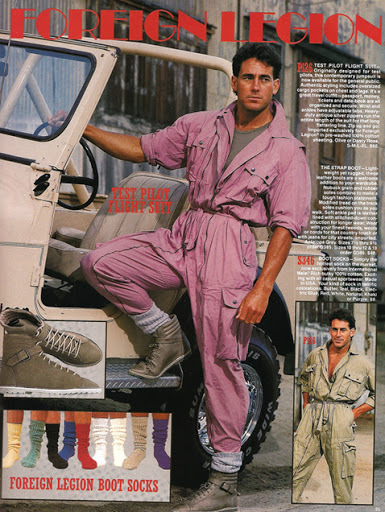 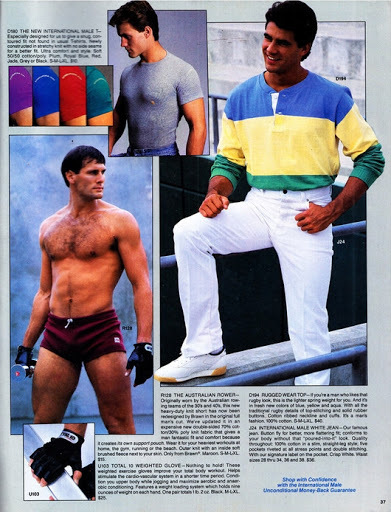 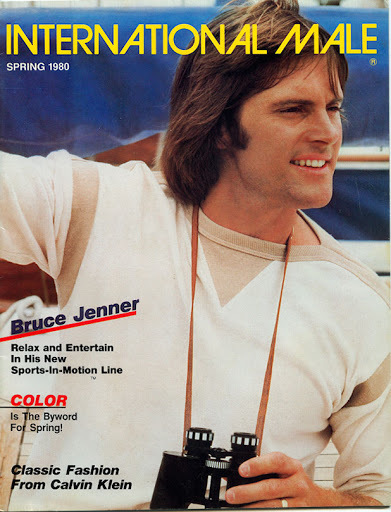 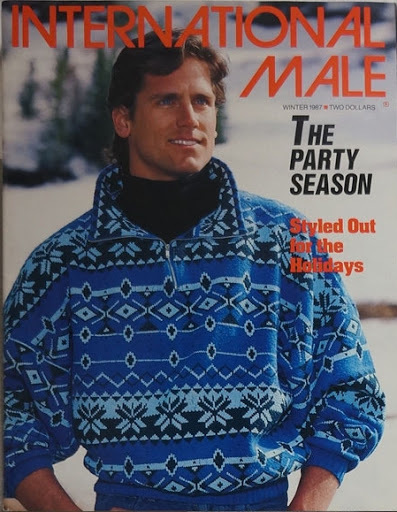 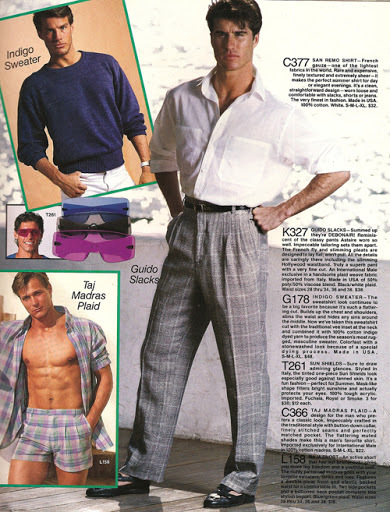 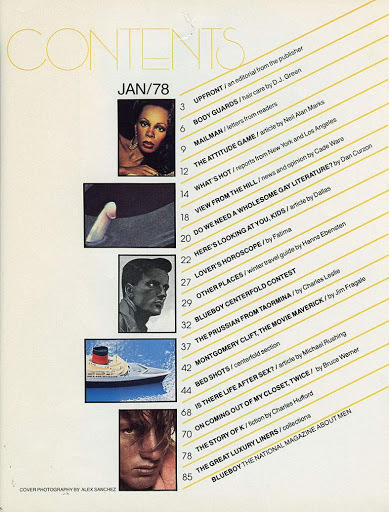 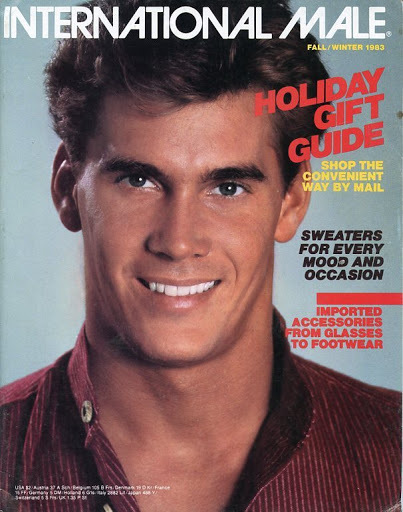 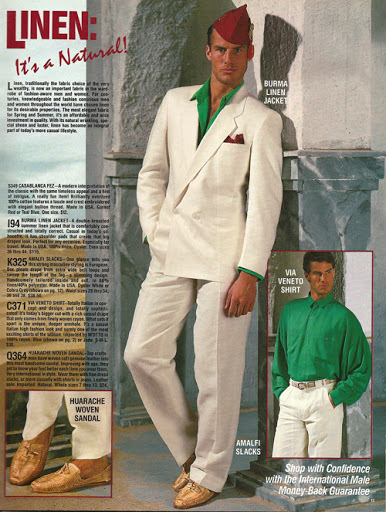 By the 1980s International Male was becoming so successful that it started out the decade by having a celebrity (a first for the catalog) Bruce Jenner on the cover. 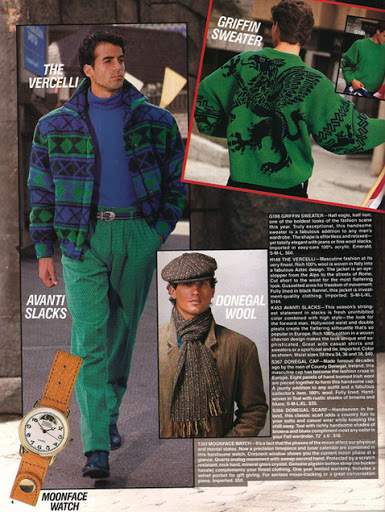 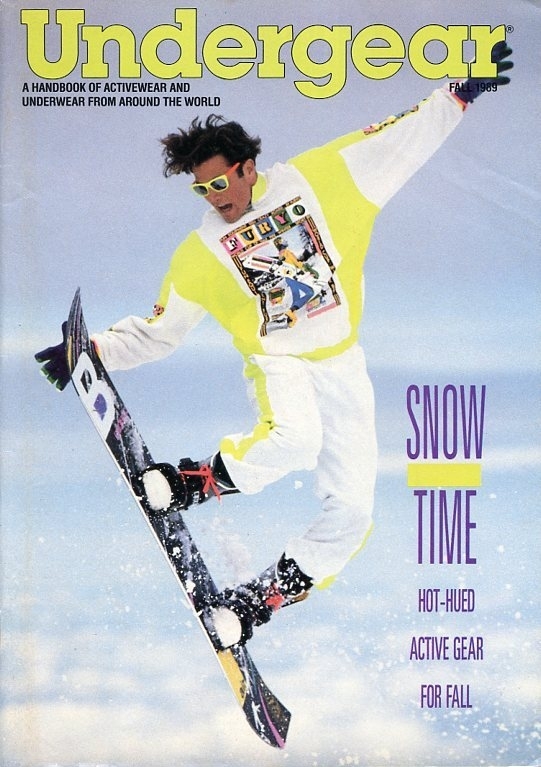 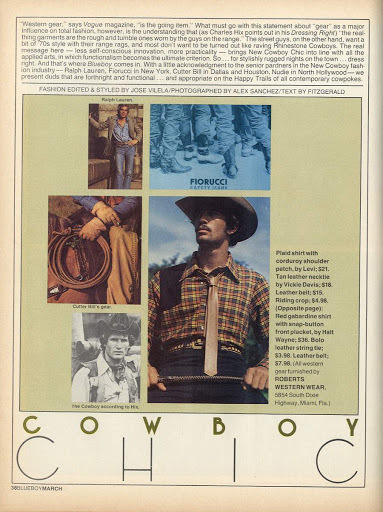 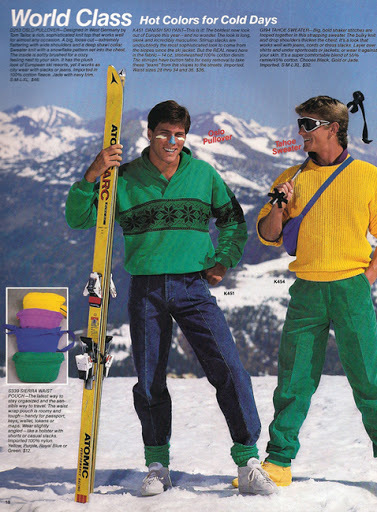 By 1983 the company was starting to release up to two catalogs per season to cash in on the growing demand. 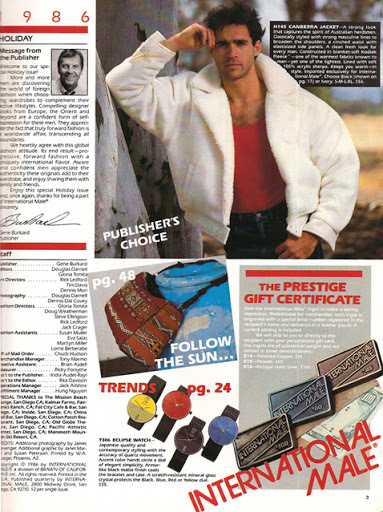 During the 1980s there was a multiple stores to compliment the catalog business. 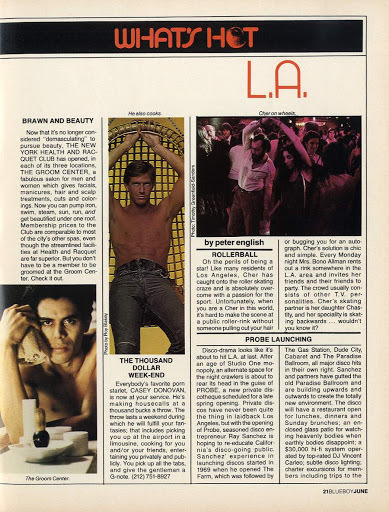 There was a production facility and store in Downtown Los Angeles, and stores in West Hollywood, Escondido, and San Diego. 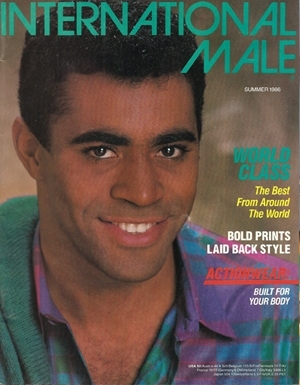 In 1987 owner Gene Burkard ended up selling International Male to Hanover House Industries based in Weehawken, New Jersey. 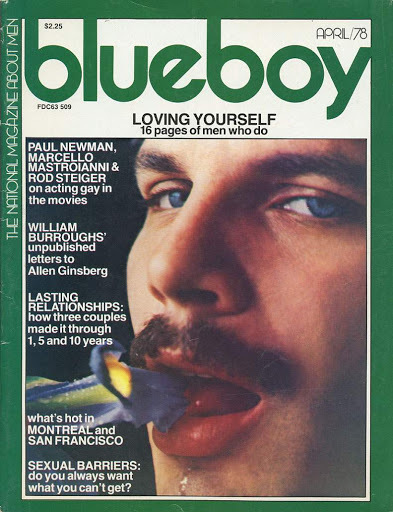 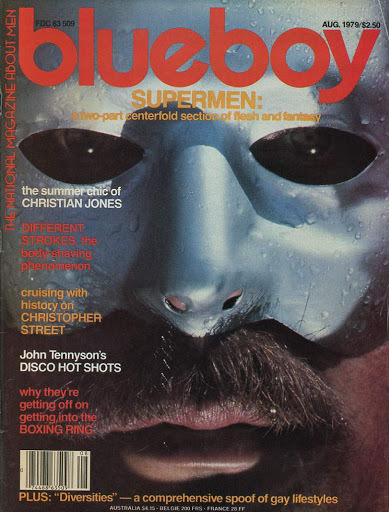 Blueboy magazine started out of Washington D.C. in 1974 under the name blue boy edited by Don Westbrook (Donald N. Embinder). 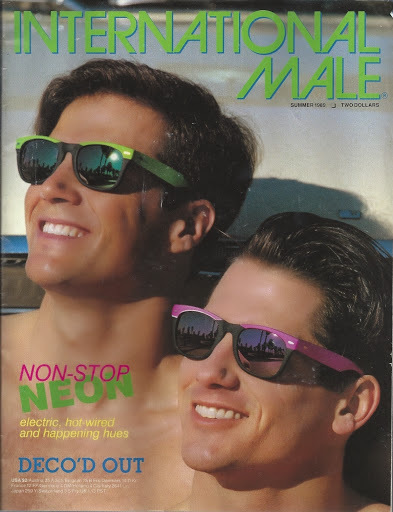 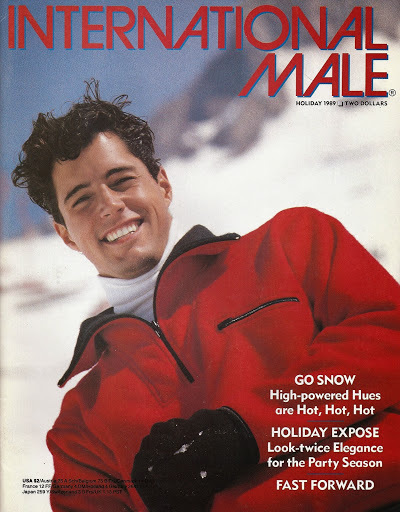 It started out as glossy gay male magazine that covered the Washington D.C. area. 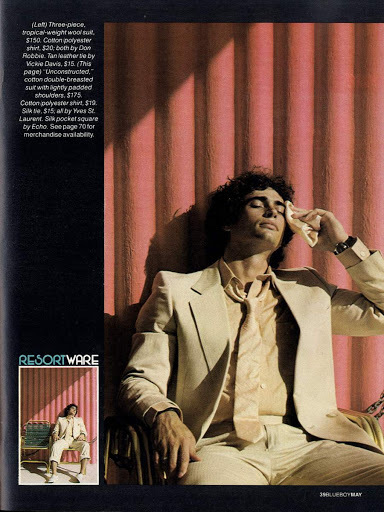 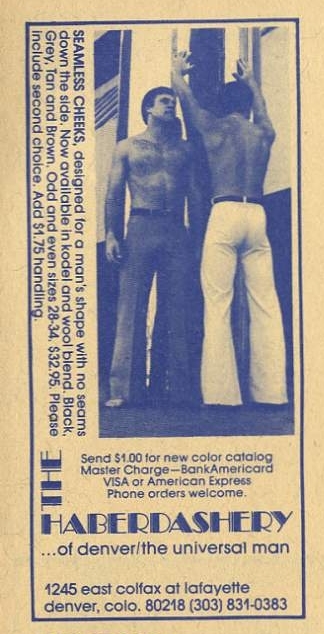 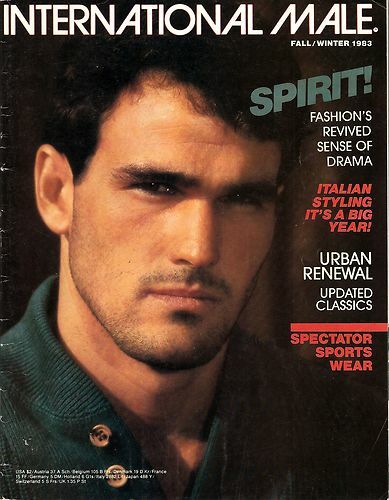 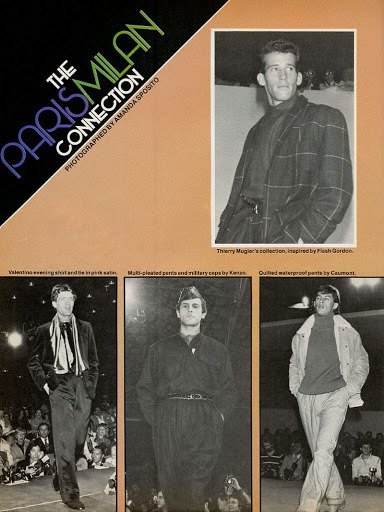 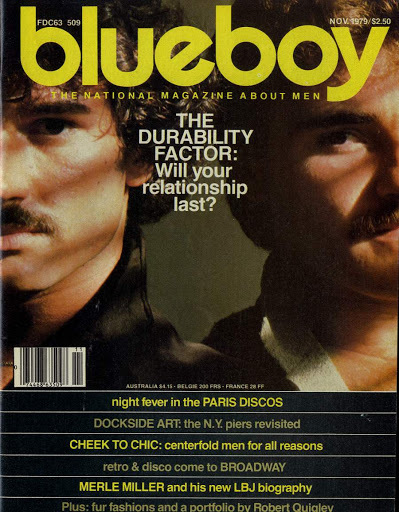 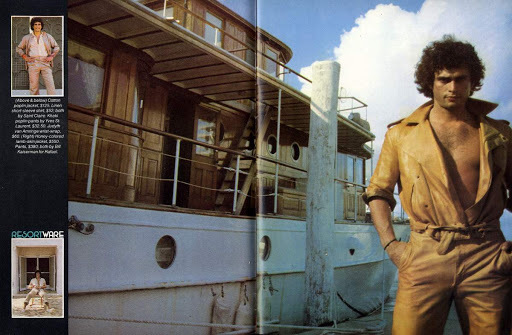 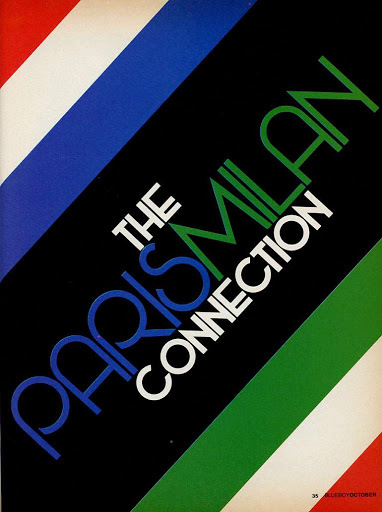 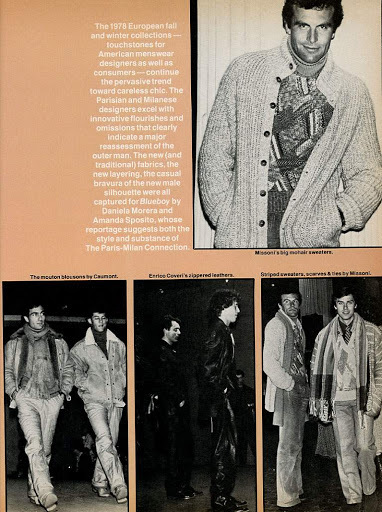 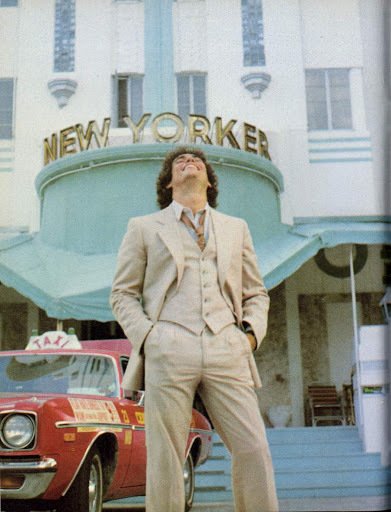 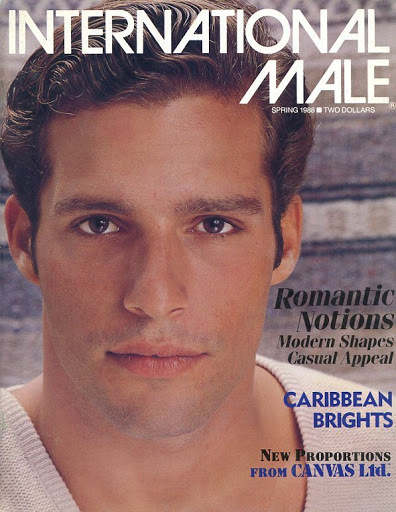 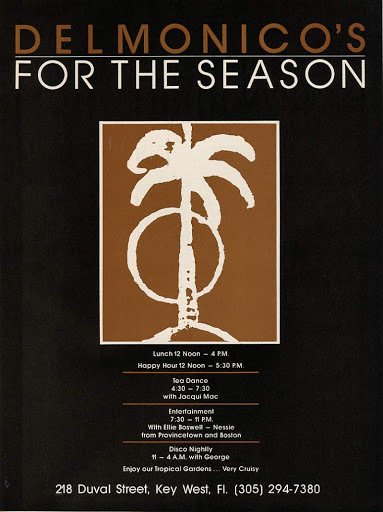 By volume 2 in 1975 it had moved headquarters to Miami, Florida and became more of a glossy soft-core gay magazine that targeted the national scene. 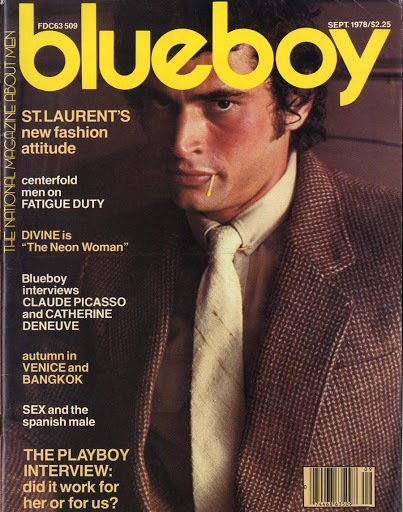 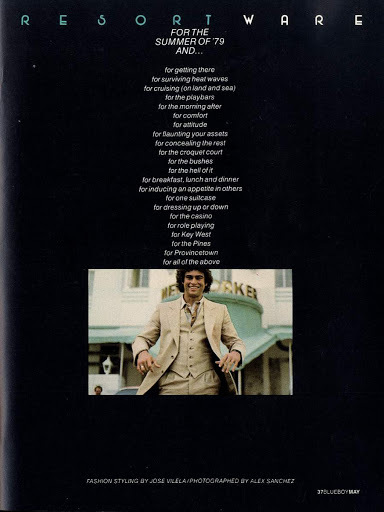 The magazine quickly became hugely going from 26,000 subscriptions in 1975 to 160,000 subscriptions in 1976. 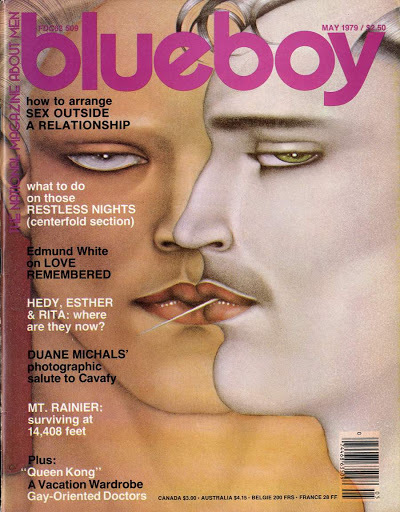 It moved to Miami the following year and changed the name to Blueboy. 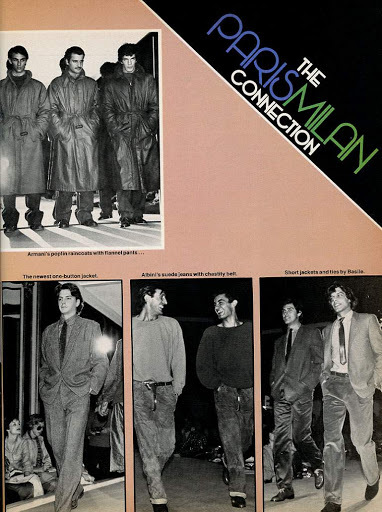 The first issue focused heavily on the Florida scene. 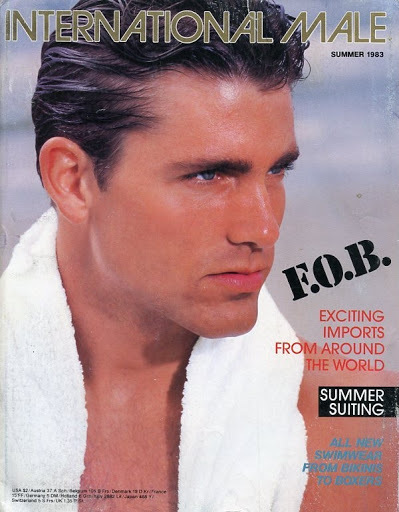 By the second issue it had moved on to a national focus which it kept for the rest of its run out of Miami. 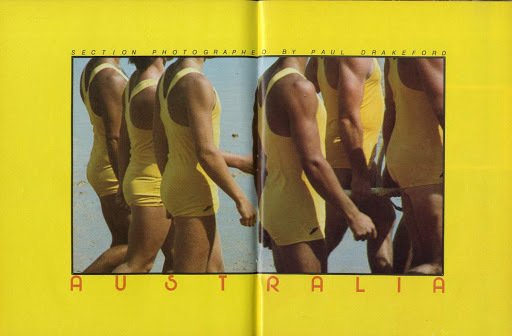 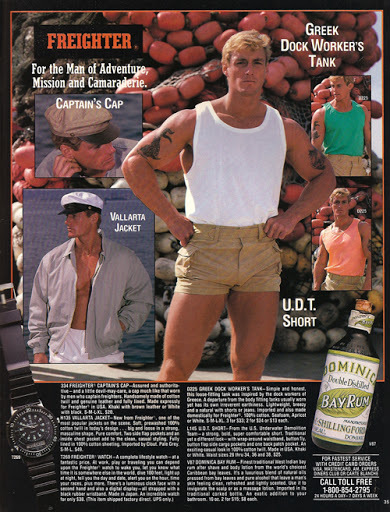 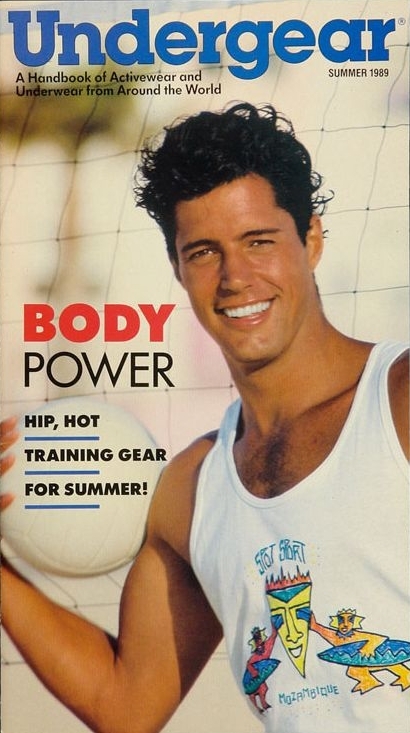 It had plenty of beefcake, ads, fashion spreads and short stories. 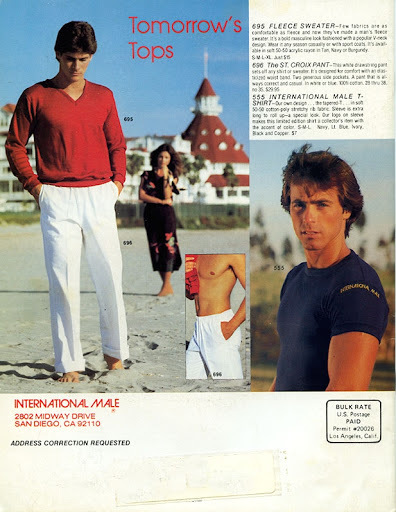 Undergear appeared as a subsidiary of International Male in the mid-1980s. 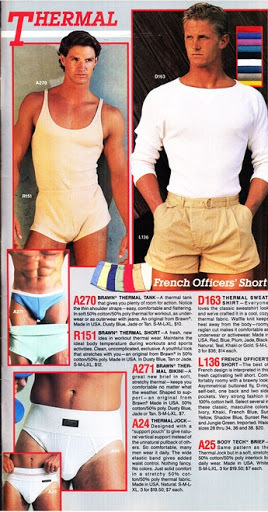 It first started out as a small separate insert in the International Male catalogs of the time. 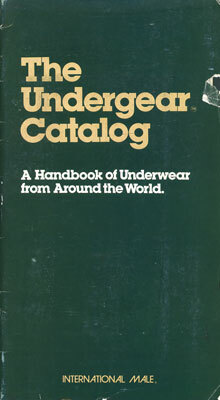 Instead of full clothing lines carried by International Male, Undergear focused exclusively on underwear. 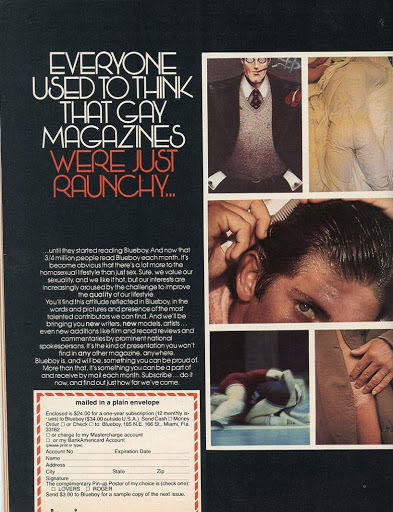 As such it became hugely popular in the gay male community. 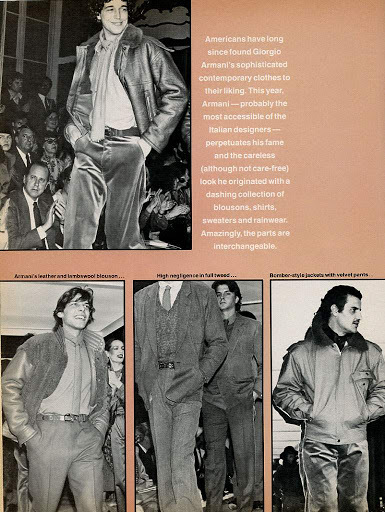 By the Fall of 1989 it had evolved into its own separate catalog. 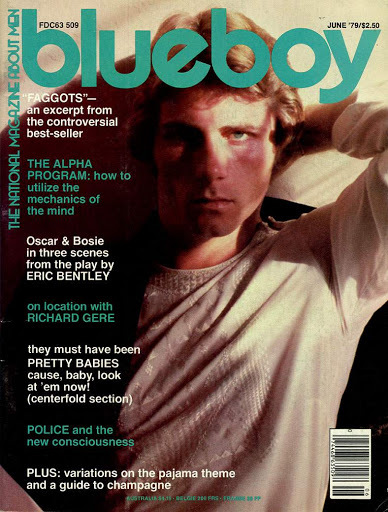 This blog is devoted to documenting all aspects of gay male life in 20th century United States print and popular culture.